But not every mobile money management tool out there is actually worth downloading and learning to use. 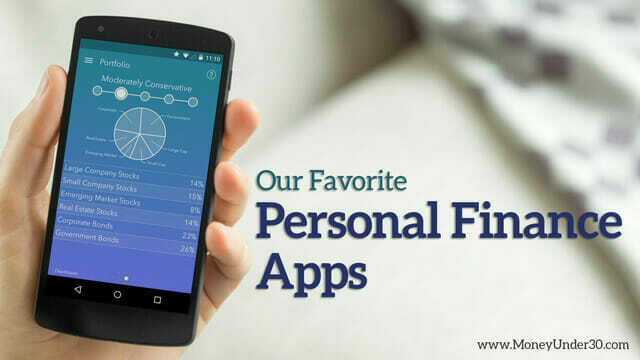 You can take some of the guesswork out of digitizing your finances with this list of the top (in our opinion) personal finance apps of 2019. Each of the eight is designated the “best” for a particular purpose, although of course several fulfil more than one aim. Hands down, the free Mint app from Intuit Inc. (INTU) – the company behind QuickBooks and TurboTax – is an effective all-in-one resource for creating a budget, tracking your spending and getting smart about your money. You can connect all your bank and credit card accounts, as well as all your monthly bills, so all your finances are in one convenient place. Mint lets you know when bills are due, what you owe and what you can afford to pay (based on your available funds). The app can also send you payment reminders or warn you if you’re approaching budget limits. Based on your habits, Mint even gives you specific advice to gain more control over your spending. The free credit score is a nice bonus, too. Special features: Shows your real-time credit score. This app is for you if: You want to know how much money you have at any given time across multiple accounts and cards. Please note that Mint is currently only available in the U.S. and Canada. An app called “Emma” is a U.K. alternative. You Need a Budget (YNAB to enthusiasts) is unlike any other budgeting app you’ve used before. YNAB helps you stop living paycheck to paycheck, pay down debt and “roll with the punches” if something unexpected comes up. It’s built around a fairly simple principle – every dollar has a “job” in your personal budget, be it for investment, for debt repayment or to cover living expenses. You Need a Budget doesn’t let you create budgets around money you don’t have – it forces you to live within your actual income. If you get off track (and who doesn’t occasionally? ), YNAB helps you see what you need to do differently to balance your budget. The built-in “accountability partner” keeps you on your toes. Although users pay a monthly or annual fee for YNAB, many feel the service and support are worth it: Online classes with a live instructor for Q&A to help you learn budgeting basics are included. In fact, YNAB is so effective that the average user pays off $500 in debt the first month. If nothing else, the financial commitment encourages you to actually use the app. This app is for you if: Every other attempt you’ve made to get your budget in check has left you frustrated and hopeless. If you’re the sort of person who’d love to be as organized with tracking your personal expenses as you are with filing your professional expense reports, you’ll love the totally free Wally app. Instead of manually logging your expenses at the end of the day (or week or month), Wally lets you simply take a photo of your receipts. And if you use geo-location on your device, it even fills in that info, saving you several steps. Wally is a clean, streamlined app that’s extremely convenient and easy to use. It’s a great choice if you’d like more insight into where your money is going. Special features: You can take a photo of your receipts instead of manually entering numbers. Less typing equals less fat-fingered errors. This app is for you if: Your previous attempts to track expenses were abandoned within a month because you hated typing stuff. Want to harness the benefits of automating good financial behavior? If that sounds complicated, the Acorns app decidedly isn’t. Basically, every time you make a purchase with a card you’ve connected to the app, Acorns rounds it up to the next highest dollar and automatically invests the difference in a portfolio of low-cost exchange-traded funds (ETFs) that you select based on your risk preference. Acorns puts your pocket change to work in an utterly painless way – users say that they never even notice the difference. Wouldn’t you love to find an extra $300 or $500 or even $1,500 in your investment account each year? The service is free to college students and pricing starts at just $1 per month for pretty much everyone else. Special features: You can set up your Acorn app to automatically invest your savings without your even knowing about it. This app is for you if: You have never owned a share of stock because you thought you didn’t have enough money to invest. A digital currency exchange platform, Coinbase allows you to trade most of the majors – Bitcoin, Bitcoin Cash, Ethereum, Ethereum Classic and Litecoin – and plans to add further assets in the near future. The app is a stripped-down version of the desktop version, and its simple interface makes it even easier to use. Once you verify for your identity (by uploading your passport or other personal documents), you can access spending limits of $25,000 per day. Special features: You can set up price alerts in advance so that you know when your target sell/buy price has been met. This app is for you if: You want to get started buying and selling cryptocurrency or sending it to friends. Robinhood is a game-changing investing app with a very unique and unbeatable feature: Transactions are free for stocks, ETFs (some 2,000 of them), options and American Depository Receipts. The app makes money by upselling premium services like margin trading and payment for order flow). It’s also one of the very first personal investing apps to offer Bitcoin trading capabilities. Along with no commissions, there’s no account minimum or maintenance fees. Special features: “Cards” appear on your screen to give you real-time news alerts and market information. They sound intrusive but they’re actually helpful, and you can customize them or opt out altogether. This app is for you if: You like free stuff and you’re brand-new to investing. Tycoon was founded by supermodel Jess Perez, whose portfolio includes posing for Victoria’s Secret and Sports Illustrated‘s swimsuit edition. Perez noticed that models, like many freelancers, were often paid very late for their work – sometimes months or even years after the contractually required payment period. And it’s hard for freelancers to keep track of multiple projects, especially since they’re usually in the middle of one when another comes in. Though popular with those in the fashion industry (photographers, stylists, etc. ), Tycoon can be valuable for any self-employed person. It lets you standardize the details of a gig, put in a timetable for it, and keep track of payments that have come in, are scheduled to come in, or that are past due – your own little balance sheet, so to speak. It also makes it easy to see at a glance which clients have not paid you yet. Special features: Tycoon App is catered to a freelancer’s special needs, such as calculating take-home pay (minus taxes and agent commission), so you can decide whether or not to even accept a gig. This app is for you if: You want to decide whether it’s worth it for you to take a certain job. Time, after all, is money. If you want someone to pay you, you send them your personal QR code so they can add you as a recipient. The limit for transactions is $299.99 in a given week. If you set up for authorized merchants payments, your limit for sending funds is $2,999.99 weekly. Special features: If you choose, you can share your transactions with your friends or even the whole Venmo-using world. This app is for you if: You are the type of person to share your Fitbit running data on your social media feed. While this list is made up of primarily budgeting apps, if you’re more interested in making investments for your future, Investopedia’s list of best investment apps is where you will find apps that are designed for investing in stocks and other assets.